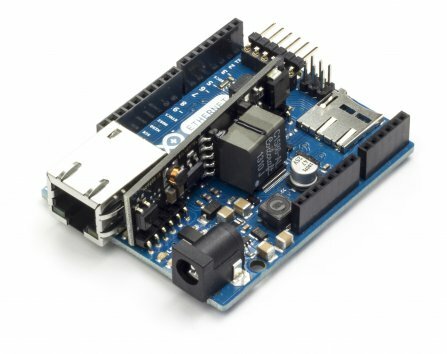 The Arduino Ethernet is a microcontroller board based on the Arduino Uno, and incorporating a WizNet W5100 TCP/IP Embedded Ethernet Controller. It can be programmed like an Uno via a six-pin FTDI -style serial connector. The Arduino USB-to-Serial adapter or any FTDI-style USB-to-serial connector can be used to program it. It includes power-over-Ethernet (PoE) module to provide power from a conventional twisted pair Category 5 Ethernet cable. It is IEEE802.3af compliant, and works with all compliant PoE injectors currently available.